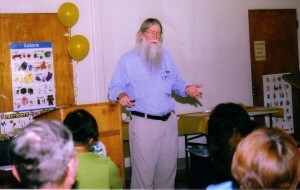 Tim Thompson a member of the Los Angeles Astronomical Society spoke to members of the Historical Society and Eastside Optimist Club on July 24 in the Garvey Room. Richard Garvey Jr. built the ranch house and observatory in what is now Garvey Ranch Park. Mr. Garvey died in 1948 before he completed the observatory. Mr. Thompson credited Len Norman, a former Director of Parks and Recreation for the city and the Monterey Park Astronomical Society for completing the observatory in 1966. Observatory located in Garvey Ranch Park with the new telescope donated by Joe Addison. Mr. Thompson presented a mini-course on the history of our universe beginning with our ancestors who spent their nights gazing on the stars and planets. He mentioned several of the famous people who tracked the stars, the moon and other planets like Arstarchus of Samos; Tycho Brage; Nicholas Copernicus; Johannes Kepler; Hans Lippershey; Galileo; Thomas Harriot; Charles Messier; Edmund Halley; Friedrich Bessel; Henrietta Leavitt; George Ellery Hale and Edwin Hubble. He credited Mr. Hale with establishing the Mt. Wilson Observatory and the Yerkes Observatory. Mr. Thompson is also a guide at the Mt. 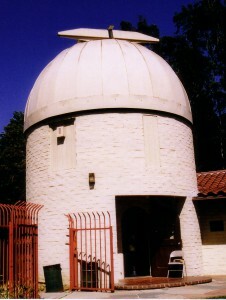 Wilson Observatory, which is opened to the public. The Observatory in Monterey Park is opened to the public every Wednesday night at 8 p.m.. Members of the Los Angeles Astronomical Society are available to assist the guests. They also have a workshop where they built telescopes and a library in the observatory. Garvey Ranch Park, which houses the Historical Society Museum and the Observatory, is located at 781 S. Orange Avenue in Monterey Park. The museum is opened to the public on Saturdays and Sundays from 2 to 4 PM. 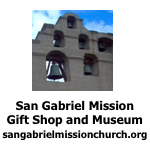 For additional museum information please call 626-307-1267. We’re thrilled to hear about club members like Tim Thompson doing public outreach. All our clubs work tirelessly to share their love of the sky, so thank you, Citizen’s Voice, for supporting stargazing efforts by featuring their good work. 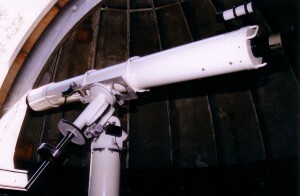 And thanks to Joe Addison for donating the telescope. The Los Angeles Astronomical Society is a very active NASA Night Sky Network club – go stargaze with them! Wishing everyone clear skies!